Lakers Drop Thunder on Lightning to Capture SSC Title. 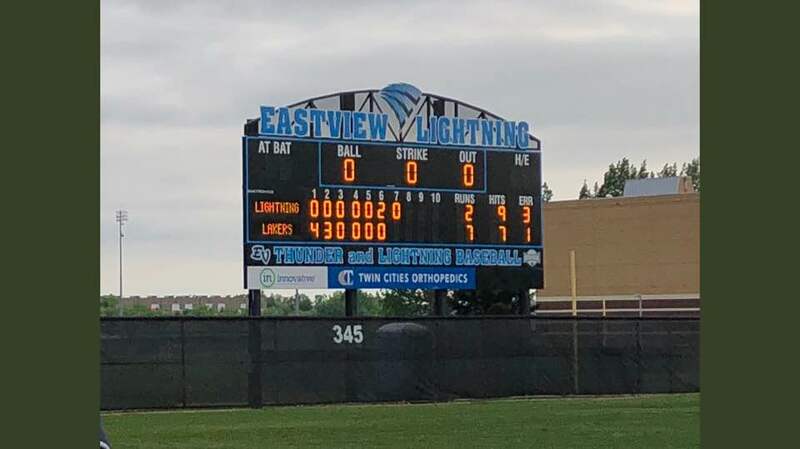 The Prior Lake Lakers baseball team made history May 21, beating the Eastview Lightning twice by scores of 7-4 and 7-2 to win their first ever South Suburban Conference championship under Coach Greg Nesbitt. The SSC was formed in 2010 playing its first baseball season in Spring 2011. The Lakers would have only clinched a share of the conference title with the pair of wins but won it outright thanks to Lakeville North and Shakopee splitting their doubleheader earlier in the day. The title is the Lakers first conference championship since they shared the Missota Conference crown in 2010, the final season & Conference Title of MSHSBCA Hall of Famer Darwin Busselmans illustrious career as skipper of the Lakers . Prior Lake stood up to the task in Game 1 as the Lightning sent hard-throwing right-hander and University of Missouri bound Tommy Springer to the mound. After Eastview posted their only lead of the day in the bottom of the first, the Lakers answered. Walks to Jonah Hoeg and Mitch Goodwin followed by a balk by Springer set the stage for Sam Emmerich, who hit a groundball up the middle to score Hoeg. Goodwin was able to score on play when the second baseman fumbled the ball and give PL a 2-1 lead. The Lakers added to their lead in the third. Ryan McDonald reached on an error to start the inning and his courtesy runner Matt Schmidt advanced to second on a wild pitch. Laker Corbin Cross hit a ball that bounced off of the lip of the grass in front of the plate that could not be fielded and Cross alertly took second base as no one from Eastview was covering. Schmidt scored from third on a passed ball on the following pitch and Cross scored on a sacrifice fly by Hoeg later in the at bat. Eastview came back with a pair of runs in the bottom of the inning to cut the lead to 4-3 but Laker starter Simen Restad got a key strikeout with runners on first and second to end the threat. While the Lakers didn’t have a ton of success against Springer, they had many long at-bats and forced him out of the game after five innings and 96 pitches. Prior Lake took advantage of the new Eastview arms in the sixth as Alex Wattermann singled in a run and McDonald and Parker Hafermann had bases loaded walks later in the inning to increase the lead to 7-3. Eastview got a run back after a pair of hits against Lakers reliever Jett Heinen but it was too little too late as the Lakers hung on to win 7-4 with Restad getting the win, working five innings and striking out seven. Game 2 of the double header started with a bang as Wattermann hit the second pitch he saw off the wall in left-center field. McDonald was then hit by a pitch to reach base and Hoeg reached on base an error before Goodwin took the life right out of the Lightning with an opposite field grand slam over the wall in right field to give the Lakers a 4-0 lead after the first inning. The wheel kept turning in the second inning as Sam Emmerich reached to start the inning on a dropped popup by the first baseman and Matt Bornholdt singled to left. Wattermann then executed a perfect sacrifice bunt to advance the runners and McDonald lined a double into the gap to push the lead to 6-0. Cross then doubled on the next pitch to score Schmidt, who ran for McDonald, dimming the Lightening hopes with a 7-0 score in favor of the Lakers. The Lightning scored a pair of runs in the sixth inning to reach the final score of 7-2. Wattermann got the win pitching. He did not allow a run and struck out four Eastview batters in five innings of work. After claiming the South Suburban Conference title, the Lakers will now look ahead to section play. Prior Lake closes the regular season with three games against Section 2AAAA opponents, two final SSC games at Shakopee Sabres Joe Schleper Stadium – Tahpah Park Wednesday May 23 4:30pm and 6:30pm and one game at Edina Hornets Braemar Field #1 Satuday May 26 2:00pm. The Lakers stand at 1-0 vs Section 2AAAA having beaten Eden Prairie May 5 in Prior Lake. MSHSL Section 2AAAA seeds teams for bracket play based on the “QRF formula” which will be confirmed and released May 27 with section playoffs beginning May 29. As of May 21, the Lakers sit in third place in Section 2AAAA based on the QRF behind Minnetonka and Edina. High seeds are scheduled to host games in the 8 team Section 2AAAA. 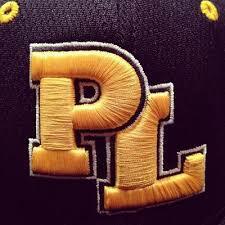 -Congratulations to Laker Seniors Ryan McDonald(C), Mitchell Goodwin(SS) and Derek Kay (2B) on their selection to represent the Prior Lake Lakers in the 2018 PlayBall!MN All-Star Series. The games, coordinated by the MSHSBCA, were formally known as the Lions All Star games have had numerous representatives over many years of the series from Prior Lake which features many of the states top players and is hosted at Chaska Athletic Park June 22nd & 23rd. More information to follow as the games approach! -PL Laker Alumni Austin Truso ’14 (NDSU) and Jacob Hitz ’17 (Minnesota) are still in playoffs for their college programs. 9 PL graduates were on college rosters this Spring with Nick Hanson playing professionally in the Cinncinatti Reds and recovering from arm surgery (more to follow soon on his progress, check back). 2018 Summer Team Rosters Announced. Memorial Park, Prior Lakes Legacy to Service.